Scotcheroos are like rice krispy bars on steroids. 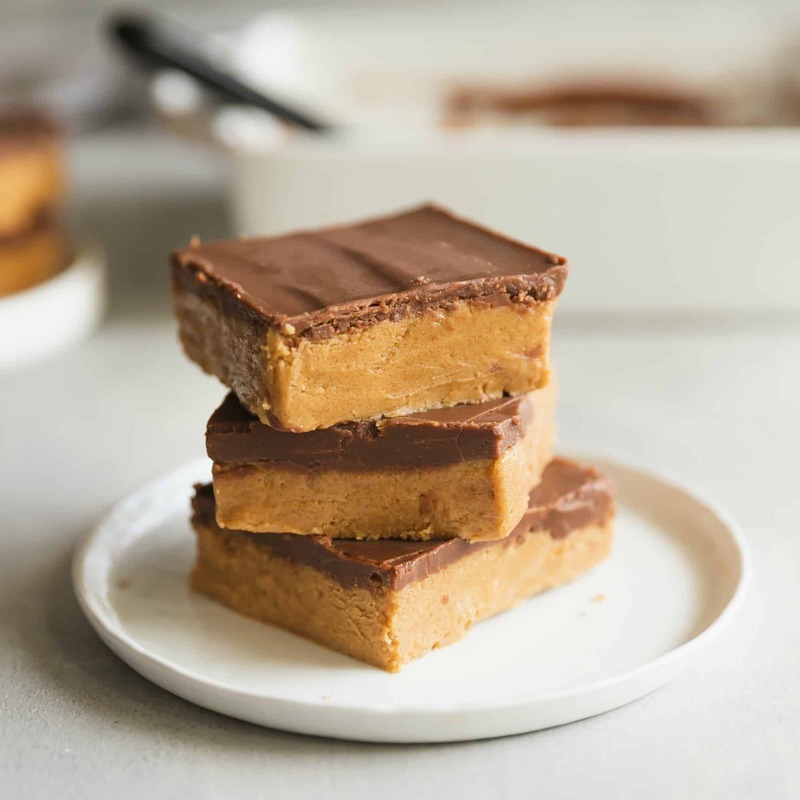 Made with peanut butter and topped with butterscotch-chocolate frosting, prepare to be ADDICTED! In some parts of the world, Scotcheroos are known as Fat Bars. Once you try one, though, you won’t care WHAT they are called. You’ll just want to eat more. They are absolutely spectacular. These little no-bake treats are basically the best idea, ever. First you make a sauce of corn syrup, sugar, and peanut butter. Then, you pour it over crispy rice cereal. NEXT, you top it with melted chocolate and butterscotch chips. Last, cut them into small squares. These babies are as rich as they are tasty! 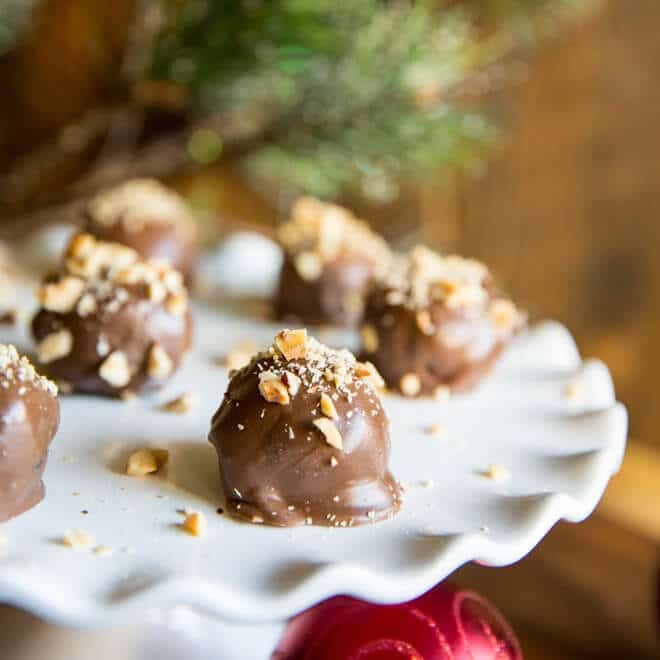 Make Scotcheroos for parties, Christmas, Game Day, and your next birthday. Make them ahead and keep them in your fridge. Bravery is recommended so you don’t eat them all! Coat a 9-inch by 13-inch pan with butter or nonstick spray. Combine corn syrup and sugar in a large stock pot or Dutch oven and bring to a boil. Remove from heat and stir in peanut butter. Add cereal to pot and stir until evenly coated. Press into prepared pan. 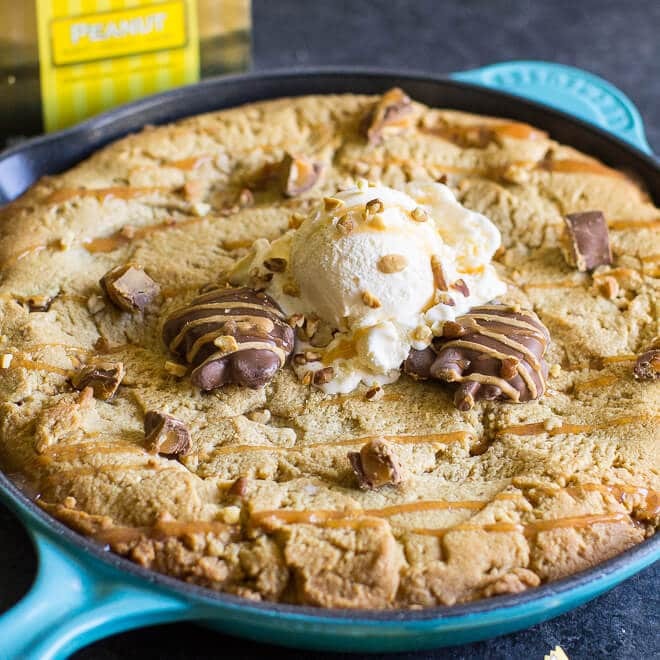 In medium sauce pan, combine butterscotch chips and chocolate chips and heat until melted and smooth. Spread evenly over cereal bars and cool completely. Cut into squares. I’ve had them with peanut butter frosting – very good! My family always used brown sugar rather than white sugar. The brown sugar will give it a little different flavor, I think a little richer. All recipes I’ve seen use white sugar. Really?? I am going to go double check some of the church and school cookbooks I have on hand. Thanks for the info, I definitely want to check that out! Thanks again Lori! I wish I could tell you! I am not sure. I am sure there is SOMETHING that would work… marshmallows, maybe? They would be different but probably still good! I have made these for years but I layer the chips. 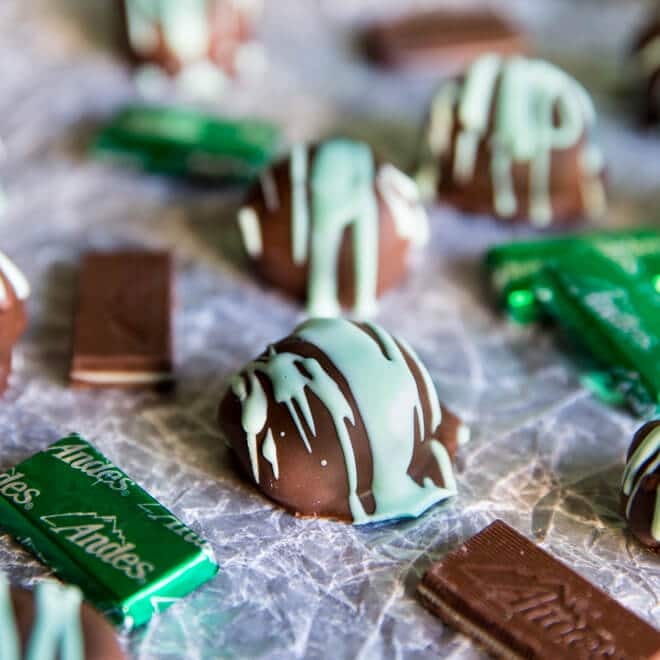 Melt the butterscotch chips and spread over the krispy bars and then melt the chocolate chips and spread over the butterscotch layer. Love them! When you say 18 ounces of peanut butter, is that volume or weight? I’m thinking it’s 2 and 1/4 cups. Hi Debbie, yes! 2 1/4 cups is right. 18 ounces is a standard size of peanut butter in a jar, so I just buy that and use the whole thing. But if you have a larger container, yes, 2 1/4 cups. It’s also a very forgiving recipe! Thanks. These sound really good. I love the butterscotch and peanut butter together. They are so easy to make. Can almond, or sunbathers be used. My grandson allergic to peanurs? Hi RoseMary, yes I think so. The texture is the same! The only thing is you *might* need more sugar since peanut butter often has added sugar and almond butters, etcetera often do not. But, you will be able to taste the concoction at the end of Step 2 to see what you think. 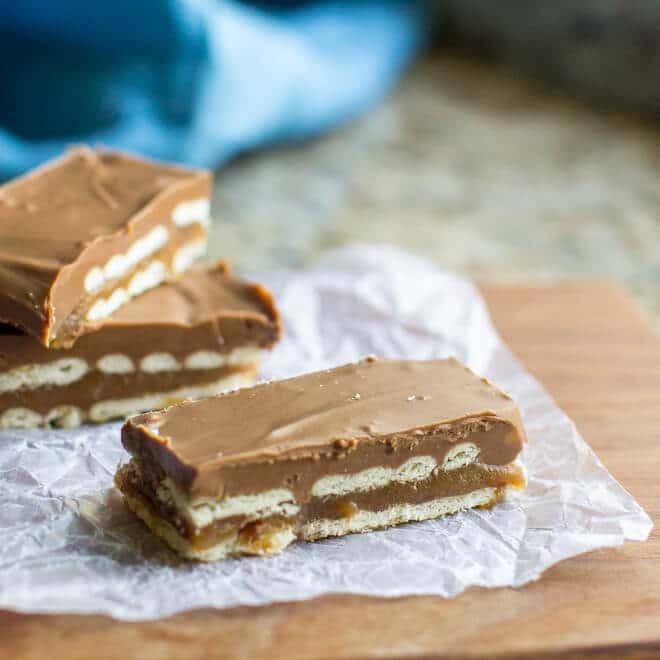 Scotcheroos in generally are pretty sweet so your pallet might not want more sugar (as you will see, you’re already adding 1 cup of sugar so whether you need more is totally up to you). Thanks! I made this recipe and really felt that something was wrong with the instructions to melt the two morsels without any other ingredients. I was right. The result was dry and certainly not pourable. I added Half n Half. Not sure how much. It made the topping more usable. Very yummy! Would like to put away for Christmas. Would this freeze ok.